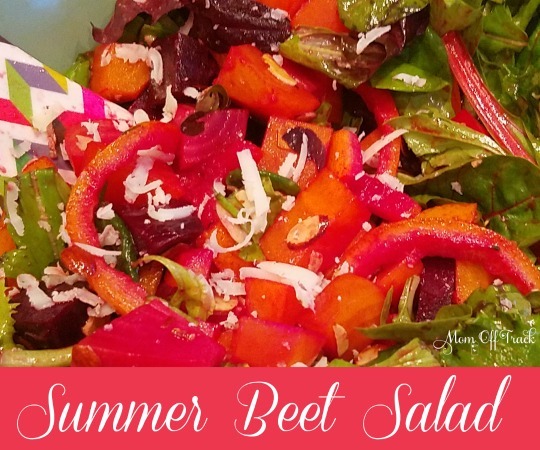 A few months ago my friends and I took a cooking class where we learned how to make this amazing Summer Beet Salad with pickled and candied oranges, almonds and a to die for citrus vinaigrette. I have now made it at home several times and have adapted it a little more to the home kitchen but beware this does take a while to make due to all the steps and it makes enough to feed a large picnic. This is going to be your summer picnic potluck go to for sure! Directions: Place the orange slices in a pot and and cover with water (not the 1/2 c needed above). Bring to a boil over medium heat, then reduce to a simmer. Continue simmering for 1 hour. 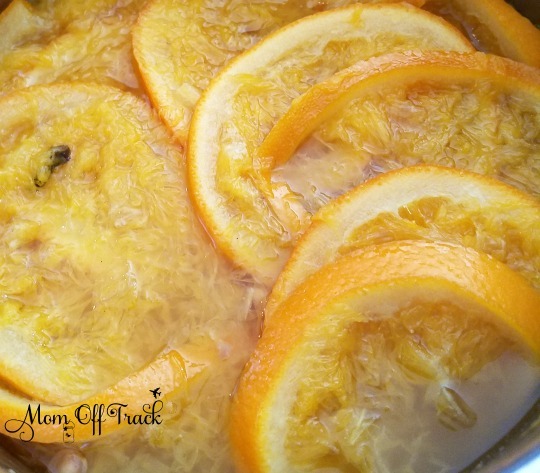 Strain the orange slices and return them to the pot. Add the remaining ingredients and stir to help dissolve the sugar. Bring to a gentle simmer. Continue simmering, stirring occasionally, for 1 hour. Remove from heat and let cool to room temperature. Separate the orange pulp from the rind and discard the pulp. Slice the rind into 1/8″ think strips. Reserve. Isn’t this photo amazing? 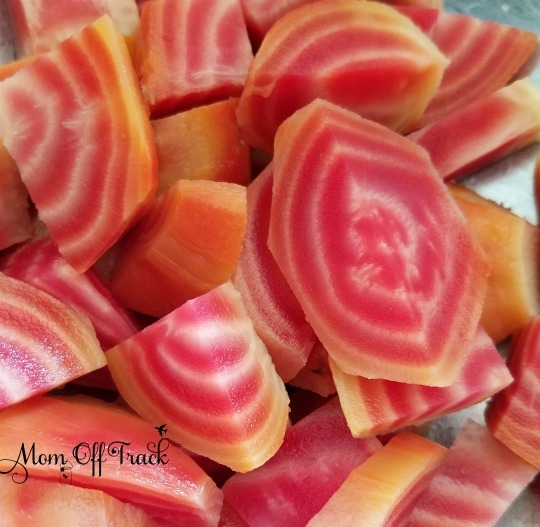 I love Candy Cane Beets (chiogga) and my new Samsung Galaxy s7 captured their beauty perfectly. Amazing camera. 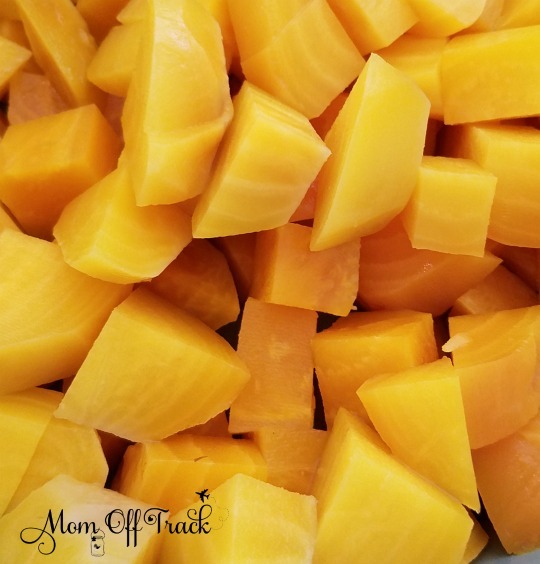 The color on the Golden Beets is amazing too. I seriously can’t get over how awesome the pics are from the Samsung Galaxy s7. I am going to use it for all my blog photos coming up. Place the gold beets and cover with water (some people will do the chiogga beets at the same time but I don’t like to mess with the candy cane coloring) and cover with cold water. Do the same with the chiogga and red beets all in separate pots. Cover pots and bring to a boil. Continuing at a slow boil, cook the beets until fork tender anywhere from 20-30 minutes depending on the size. When the beets are almost done prepare an ice bath. I do each of the 3 kinds separately because the color is very important to me to maintain and the red will for sure color the gold in seconds. Transfer the cooked beets to the ice bath to chill. When cold, peel off the skins and discard. Do the red beets last. Cut the beets into small quarters. 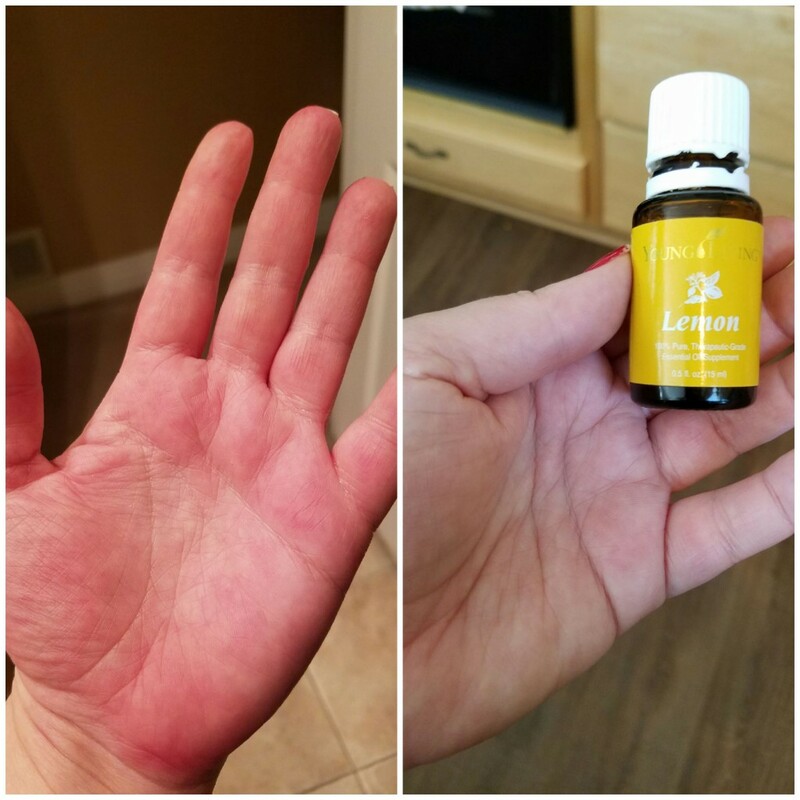 You can use gloves during the stage to save your hands from turning red or just rub some Young Living Lemon Oil on your hands and let sit for 1-2 minutes and then wash. Put in fridge to chill. Directions: Combine the juices in a bowl or blender. Slowly add the oils while whisking or the blender is running. I use my Vitamix for this. Season with salt to taste. Reserve. Directions: Dress the greens with the vinaigrette. Dress the beets quarters and add. Top with the sliced orange rind, almonds and cheese slices. *Disclosure: As a member of a great group of Verizon Influencers, I occasionally receive cool products to test drive and share my honest thoughts on like the Samsung Galazy s7 mentioned above. All opinions are my own. And wow, does that camera rock or what?